The OnePlus 6T is widely expected to be launching in just two weeks time. The OnePlus 6T is widely expected to be unveiled later this month on October 16, and in the meantime there seems to be no stopping the various leaks. The latest leak reveals a bunch of accessories that will be launched with the smartphone, and their alleged prices. The list of accessories, obtained by MySmartPrice, includes bumper cases, protective cases, the USB Type-C Bullets earphones, and a Type-C to 3.5mm dongle. The list also reveals the alleged prices of these accessories for the European market. OnePlus 6T buyers will be able to get themselves a bumper case in Nylon, Ebony Wood and Karbon textures. These will be priced at €26.95 (approximately Rs 2,270), and €31.95 (approximately Rs 2,700) respectively. Buyers will also be able to opt for two protective cases in Sandstone and Karbon finish, which will be priced at €21.95 (approximately Rs 1,850), and €26.95 respectively. For audio, the list mentions the Type-C Bullets earphones that OnePlus has already officially announced. Unveiled in India last month, these earphones are priced at Rs 1,490. Lastly, for those who prefer using their older headphones, OnePlus will be offering a Type-C to 3.5mm dongle that will set you back by €8.95 (approximately Rs 750). 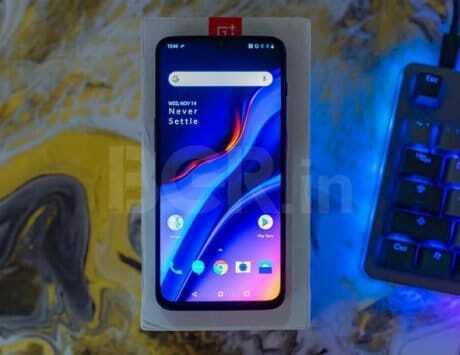 In the run-up to the launch, the OnePlus 6T has been subject to a number of leaks and rumors. Based on what we have come across so far, the upcoming flagship device will flaunt a 6.5-inch display with 19.5:9 aspect ratio, and a waterdrop notch at the top. Under the hood will be a Qualcomm Snapdragon 845 SoC paired with 6GB/8GB RAM, and up to 512GB internal memory. This will also be the first smartphone from OnePlus to boast an in-display fingerprint sensor for security. For photography, there will be a dual-camera setup at the back that will include a combination of 16-megapixel and 20-megapixel sensors. For selfies, there is likely to be a 20-megapixel sensor up front. 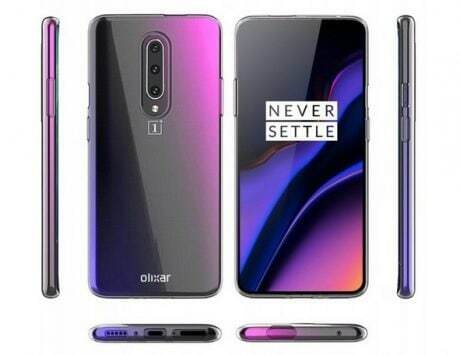 Rumors also point at a 3,700mAh battery, which will be bigger than the 3,300mAh unit found on the OnePlus 6. The company has recently started rolling out Android 9 Pie for its current flagship device, and we expect the OnePlus 6T to run the latest OS out-of-the-box.